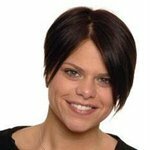 Jade Goody was an English celebrity who became famous after appearing on the third series of the Channel 4 reality TV program Big Brother in 2002. In January 2007, she was a housemate in Celebrity Big Brother. In August 2008, she appeared on the Indian version of Big Brother, Bigg Boss, but withdrew early from the show and returned to the UK after being told she had cervical cancer. She passed away in the early hours of 22 March 2009. Her fame raised awareness of cervical cancer in the UK. Jade Goody has passed away, but we remember her charity work. Google trends for "Jade Goody"
We don't have any videos related to Jade Goody.